SXSW PanelPicker, the official SXSW user-generated session proposal platform, is now open, and accepting ideas through July 23. The 2018 SXSW Conference will include 24 programming tracks comprised of Interactive, Film, Music, and Convergence, plus our SXSW Eco curated Cities Summit. Every summer we ask the community to propose the ideas they are most excited to bring to SXSW, and these PanelPicker proposals become the foundation of the SXSW Conference programming. 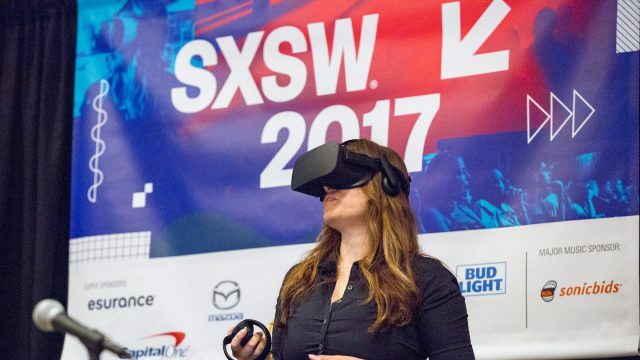 Convergence programming features a range of topics that straddle the cultural and technological intersection at the heart of SXSW. See what’s new for SXSW Convergence Tracks below! Cities Summit (March 12-13) – The SXSW Cities Summit is an opportunity for civic leaders, creative citizens and urbanists of all disciplines to join together to learn, strategize and form coalitions to service and benefit the cities of tomorrow. The summit features two days of dynamic programming, performance, pop-up exhibits, and events exploring the future of our cities. CLE (March 15-17) – Designed for attorneys, entrepreneurs, C-level executives, and beyond – Continuing Legal Education sessions discuss legal perspectives on industry trends. 12 hours of accredited sessions will be available at no extra cost to SXSW registrants. Experiential Storytelling (March 12-14) – New technology has opened up exciting avenues for storytelling and immersive entertainment. This track investigates how these experimental strategies are redefining the ways in which audiences experience their world. Includes programming formerly known as Digital Domain. Food (March 12-14) – The Food track brings together the food community’s most inspired entrepreneurs, chefs, data scientists, investors, filmmakers, and enthusiasts to connect and explore ways in which technology and innovation can be leveraged to transform the industry. News & Journalism (March 10-15) – Information and how it gets to us is vital. Sessions in this track explore how news, journalism and analysis is dispersed, how it will be impacted by the future of technology and how this content will continue to inform and engage. Social Impact (March 10-14) – This track highlights innovative ideas from creative industries that are contributing to a better, more equitable world. This programming offers opportunities to those working on social impact to identify and share solutions: from activists, storytellers and entertainers to philanthropic nonprofits, foundations and social enterprise. Sports (March 9-11) – This three-day track tackles the future of sport—in all its forms—from a cultural and technological perspective, while exploring a diverse range of topics encompassing all sports across all levels of play. Startup & Tech Sectors (March 9–15) – The Startup & Tech Sectors Track brings together entrepreneurs, founders, and funders, as well as established businesses to talk about today’s best practices and tomorrow’s most exciting trends. These sessions focus on US-based innovation as well as forward-thinking companies and technology ecosystems from around the world. VR/AR (March 13-15) – Virtual reality and augmented reality technologies are finding new ways to enhance our ability to perceive the world that surrounds us, and in many instances they are redefining how we experience the world. Swiping Right on Inclusivity with Tinder & GLAAD – This Featured Session from the Social Impact track discussed the reaction to Tinder’s update on gender identity features and what it means for the future of trans people and dating. Augmenting Reality, For Real – This Solo Session from the Experiential Storytelling track investigated the new formats of “augmented” entertainment that have drawn hundreds of thousands of people together, out of their isolating screens, and back into the world. Digital Content Demands New Security Mindset – This Panel Session from the News & Journalism track discussed how modern content consumption and delivery requires a new approach due to evolving security risks. Attendees learned how publications can better protect their websites and users, without sacrificing performance. 2017 Food Trends Meet Up – This Food Meet Up with Miriam Parker from the Austin Food & Wine Alliance analyzed food trends, how international trends impact American foodways, and the hottest dishes of the year. For more information, visit the SXSW PanelPicker page to learn about the application process, watch our helpful PanelPicker Walkthrough video, and read the FAQ to gain valuable insight into making the most out of your proposal.